In the 21st century, the smartphone has become an important part of our everyday life. According to statistics, in the year 2017 more than 50% of people were using their smartphones for more than 5 hours per day. In a similar research, an American teen was found to spend more than one-third of their day using their smartphones. Also, 50.3% of website content was served on mobile phones in 2017 and this percentage is expected to climb more in 2018. Typical smartphone usage includes watching online videos, listening to music, chatting through a variety of online messaging services and gaming. Today, there is a major concern about the negative effect of smartphone usage on your lifestyle. Smartphone overuse is already considered a psycho-pathological entity and a type of dependence syndrome. It is usually compared to substance use disorders. Smartphone invasion in our daily routine has shifted us away from social and practical activities. Google, the creator of the world’s highest selling mobile Operating System, shares the same concern. 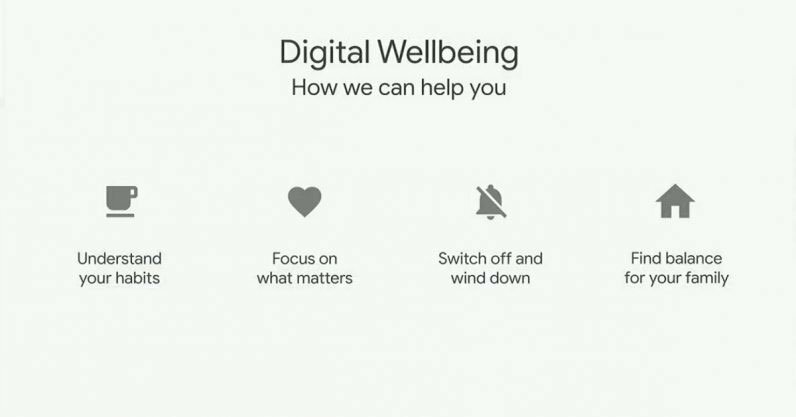 Their answer to smartphone addiction is Digital Wellbeing, a project that shares the idea that “Great technology should improve life, not distract from it.”. 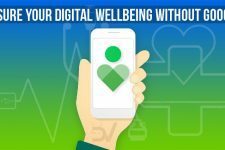 But, what exactly is Digital Wellbeing? Keep reading below to learn everything about it. Dashboard is the central part of Digital Wellbeing. It provides a thorough information about time spent on a smartphone, how frequently user operates different Apps and how many notifications they receive every day. A concerned user can get a complete look at what distracts their attention the most during the day. Apps that tend to steal much time from their day can then be restricted with App Timers. Using App Timers, the user can set time limits for App usage. When the limit is reached, the App icon in the launcher is grayed out for the rest of the day. To help the user sleep on a schedule, the Wind Down feature will automatically turn on ‘Do Not Disturb’ mode and Night Light and turn the display into gray-scale at a specified time in the day. Image Copyright by Google Inc.
Google went ahead and improved Android’s Notification system, to become even more configurable and user-centric. By enabling the ‘Do Not Distract’ mode, all Notifications are blocked on Android Pie. Users can enable this mode on supported devices by just flipping the device facing down. Moreover, Notification display can be fully configured in the Settings App: You can hide or show notifications on lock screen, hide or show sensitive information in notification panels, snooze notifications and reply in-place, without having to go through the App. Google’s Apps have started receiving design changes that tend to minimize user distractions. Gmail App obtained a ‘high-priority notifications’ feature. This limits the e-mail notifications the user receives, so only important notifications arrive. Furthermore, ‘priority inbox’ feature will display only important and unread e-mails. In parallel, Youtube App is now able to combine all notifications into a single one each day. The App also tracks viewing time and can compare with previous watching periods. There is also a configurable break reminder, along with support for quiet hours. s also support for automatically editing content, both photos, and videos. 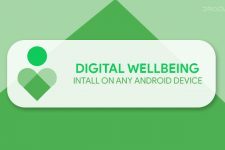 Similar article: What is Google Digital Wellbeing, and How It Can Cure Your Smartphone Addiction? Google invests a lot in Google Assistant for their Digital Wellbeing project. Using voice commands, a user is able to send messages, make phone calls, control home appliances, and media playback. Users can also schedule custom routines. By relying on voice commands, screen time is reduced and the user does not get distracted from their current activities. While an adult person can rely on self-control and use all of Google’s Digital Wellbeing offerings to their benefit, kids and teenagers might find it difficult to overcome their smartphone addiction without external help. That is the reason Google introduced the Family Link. Family Link is actually another App, that allows monitoring and restricting a child’s smartphone usage. The parent can get notifications of App downloads from the Play Store and approve or block them. They can also remotely lock the device when needed. In addition to the above, Family Link provides expert recommendations for high-quality content downloads. Along with Family Link come the Youtube Kids and Google Wifi Apps. The first one is a custom Youtube App that enables parents to monitor and control their kids Youtube searches, channel access and watch-time. A special kid profile is possible for each kid in the family, with different restrictions and preferences. Google Wifi is an App that can pause WiFi access on a kid’s device. This way parents can force kids to get away from their device for some time and occupy their selves with something else. Researchers at Google know well that you can overcome every addiction with good training. This is the purpose of ‘Be Internet Awesome’ project, a part of Digital Wellbeing effort. It currently includes a special game for kids, Interland. The game runs through an adventure of several stages and it is designed to teach kids about productive and safe Internet surfing. Along with that, the project provides educational material for parents and teachers to assist in learning kids to protect themselves on the Internet. 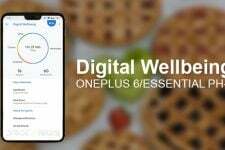 To get the full package of what Google’s Digital Wellbeing currently has to offer, you need a Google Pixel device running Android Pie. Not all Android devices will support the full package in the future and most features will probably remain out of custom ROMs. However, individual features added by Google to their Apps could be accessed by just downloading the latest versions of these Apps. Also, changes to the Android Notification system started by developers since Android Nougat, so many of these features, like snoozing notifications or the ‘Do Not Disturb’ mode, are available on Nougat+ devices. To sum everything up, what is most important than everything is understanding the following: To avoid or overcome smartphone overuse, we should first really notice its negative effects. After all, just like in any other dependence syndrome, nobody could be helped unless they seek for help. Google offers their ideas and solutions to smartphone addiction. But it is up to the user to take advantage of them and improve their lifestyle.